OIC-Countries In Figures (OIC-CIF) presents the most recent available information with facts and figures from the 57 Member States of the OIC. After clicking either on the flag or the name of the OIC Member Country listed below, the profile of the selected country is displayed. These profiles provide quick access to the information for each country under 9 sections, namely Background, Geography and Climate, Society and Demographics, Government and Politics, Economy and Sectors, Country in Figures, International Partnerships, Logistics, and Special Links. The profile of each country is downloadable as an XML based spreadsheet file (which can be accessed after clicking on the Export Report button available in the bottom-right corner). The contents of the profile page can be customised based on the preferences of the user by selecting the section or indicators (by default, all sections are chosen as indicated with “✓” sign) to be shown in the XML based spreadsheet file. BACKGROUND In this first section, background information of selected OIC member country is displayed concerning the selected OIC member country’s official name, national anthem (also playable), national day, capital city, official language(s), and historical background. GEOGRAPHY and CLIMATE This section provides information regarding the geography and climate of selected OIC member country; including information for location and geographic coordinates, total area (sq km), land boundaries with the border countries’ names, coastline (km), and a brief description of typical weather regimes throughout the year. SOCIETY and DEMOGRAPHICS This section includes information about national identity, demography and societal characteristics including the most recent HDI score and rank, population figures, and adult literacy rate. GOVERNMENT and POLITICS This section covers the selected OIC member country’s executive, legislative, and judicial structure, and political parties and leaders. ECONOMY and SECTORS This section gives a basic snapshot of the selected OIC member country's economic and financial situation. The data presented focuses on exchange rate , GDP, GDP per capita, GDP growth rate, education expenditure, health expenditure, unemployment rate, economic complexity score, FDI, ODA, exports and imports figures with trade partners and intra-OIC realisations, important natural resources, and main agricultural products. OIC MEMBER COUNTRIES IN FIGURES This section presents quantitative data on over 546 indicators classified under 24 different categories ranging from AGRICULTURE to YOUTH. The explanations for each category with list of indicators and units are provided. The figures for the most recent year available are extracted directly from within the OICStat Database, along with timeplots are made available under each category. The short metadata giving the definition and explanation of the indicator can also be accessed through a pop-up window by clicking on the indicator name. INTERNATIONAL PARTNERSHIPS This section provides about the memberships of the selected OIC member country in various international organizations. Additionally, date of membership to OIC along with OIC events hosted in and SESRIC activities participated by the selected OIC member country are also presented. LOGISTICS This section informs the users about the most salient logistical information on the selected OIC member country that covers time difference, country phone code, and electricity. 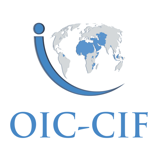 SPECIAL LINKS This section lists the Internet links available on the selected OIC member country’s main institutions in order to give users the opportunity to gain more in-depth knowledge.